Living in a city like Singapore where your home is usually left amongst one of the last things-to-do can be hectic. Here comes the handyman who specializes not just in working around the house but also competent in many trade skills to repair anything broken in a creative way. 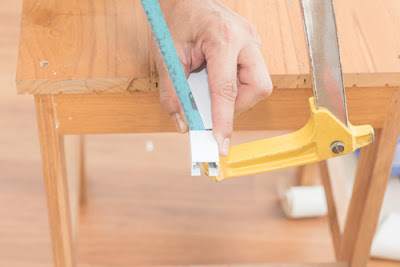 The service of a home handyman is useful in many situations, ranging from simple tasks like repair of drywall to more complex ones like renovating one of the rooms in your house. 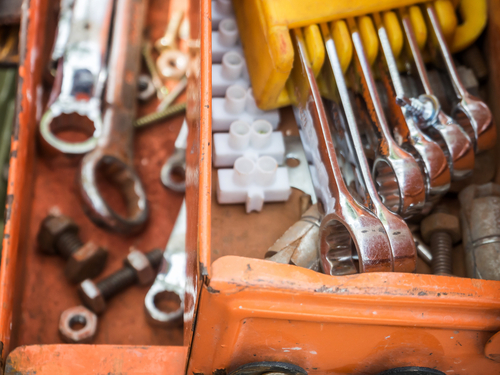 Just like other professions, it’s entirely possible for one handyman to have better skills than others, and you can contact them for more than just simple common repairs. For the purpose of security, the home handyman you want to hire must have certain qualities, in other words, there are some factors to consider before choosing the handyman service here in Singapore. This article is ready to put you through everything you need to know when it comes to deciding who to hire for your handyman service. Read on! The home handyman you hire needs to be licensed to take up services such as electrical wiring, plumbing, and gas-fitting. An unlicensed handyman can assist with minor tasks like installing your new washing machine or replacing your tap. He can also connect up a new sink or fix dripping taps, but that's just as far as they can go in case your handyman is not licensed. So, before you get too far into deciding who will be working on your house, make sure you ask if the contractor is properly insured and licensed. Also ask and ensure that the company and its workers are aware of all types of city, construction codes and county building in Singapore. By getting a handyman service company with a track record of over a few years of service, you can rest assured that the well-being of your home will be accounted for. No business can sustain without having an excellent customer service at a fair price. Help is easy to find in the telephone directories or newspaper, but you can't just trust anyone. Most people prefer to make their choice after asking for recommendations from friends, family or acquaintances. It is helpful to hear about other people’s experience with service providers. Another reliable source to check out before choosing your home handyman is the internet. Here, there are several blogs and websites where such services are offered. One interesting part is that you will be able to find information about the firms or person on some of these blogs and websites. If your friends or family cannot vouch for the skillfulness and trustworthiness of a particular person, then the internet will assist you with that. The assistance rendered to you might be supported by references from previous customers who experienced satisfaction with the service, or by photographs which demonstrate the ability of the home handyman. No matter how gifted or qualified a handyman is, there are some things that are best learned through experience. This is true especially in unexpected emergencies situation where one may have to manipulate. An experienced handyman will keep calm and never lose track of the situation. There will be limited damage control at the end. A happy client is considered as the one who doesn’t have to spend too much money or time on any home maintenance task. An experienced handyman perfectly understands this fact. Every business is meant to showcase a satisfactory level of professionalism and follow a strong code of conduct. Dealing with a client should be guided by a proper etiquette that needs to be observed all through the conversion. Ignoring the client request or not doing well on the job is unacceptable. It should be “Clients first,” so client's satisfaction should always top the priority list for any home handyman service. Skills need to be acquired by strong training of the whole team in their different work categories. Significant efforts need to be made to involve the recruits in understanding how to handle modern equipment. New technology and techniques should be introduced to the home handymen so they could improve themselves. A great handyman service is conscious of competition and passionate about building a better reputation than its competitors in the industry. He makes every effort to impress and satisfy potential clients. He values their suggestions and opinion greatly. High-quality results aren't certain if the handyman service still uses old, outdated equipment and not inclining towards investing in modern technology. A business with a passion for growth and development won’t hesitate to invest for the benefit of the client as well as the company. This is important to create a good image among customers because they need to be sure that they are paying for good results and will never be disappointed. Take a good look at various reviews written online at on different websites. Previous customer’s experience means a lot about the conduct and actual results of the company. Some businesses here in Singapore try to deceive clients with the power of an impressive sales pitch but fail to deliver on their actual promises. Checking out their reviews will help you separate the good egg from the bad ones. Spending a little research time can save you from a low-quality handyman service and help you find a reliable one faster. One important factor to consider when getting any work completed for home is ensuring that you get a guarantee from the handyman. Contractors who prove to offer a written warranty for completed jobs and construction work shows they have pride and are sure of their ability to satisfy your home repair needs. 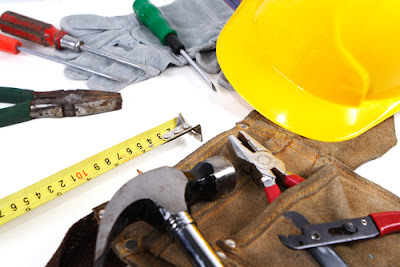 By now, I think you should have a better idea on some of the basic traits and details to look for when checking out different handyman services to give you your free estimates.From understanding that the business has a proven track record to knowing that they are licensed and insured, you now have a better idea of Choosing the right handyman services for your needs. You can never go wrong by following these simple tips.